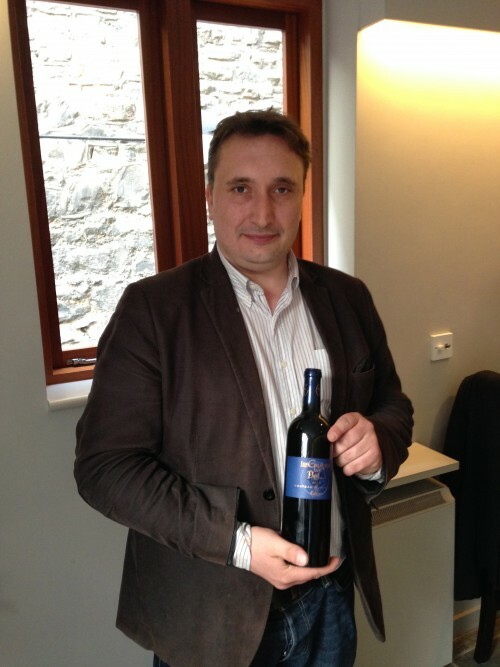 I tried out the wines of two very different producers last week, Philip Vincens of Ch. 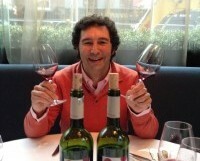 Vincens in Cahors and Antonio Diez Martín of Bodegas Martín Berdugo in Ribera del Duero. In both tastings I preferred the cheapest wine. Why? In each case, the wine was unoaked and possibly a little less smooth than the wines that followed. But I loved the bright pure fruits, accompanied by a light refreshing acidity; wines that give a simple pleasure. It makes you wonder how good the wines could be if they used the best quality fruit for their unoaked wines. I have known Antonio for many years, and worked for the company that imported the wines. In 2013 tragedy struck when the family winery burnt down, destroying much of his stock. He says the local community were fantastic, giving him wine to sell to help tide him over. The new winery is now up and running, and fitted with the best modern equipment insurance money can buy. Although the unoaked joven (we used to call it ‘spotty youth’ – see the label above) was my favourite, all of the wines have a lovely clean purity of fruit and an elegance not always found in Ribera del Duero. They are all very reasonably priced too. 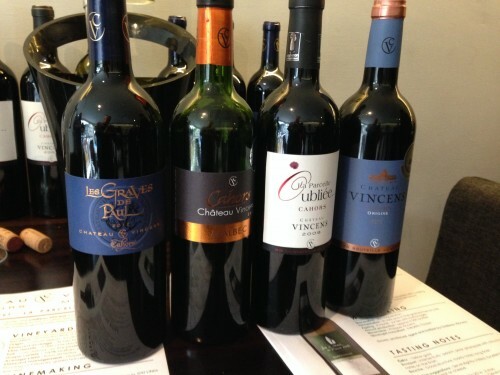 Philip Vincens has caused quite a stir with his wines; they have been very well-received by many critics and competition judges. 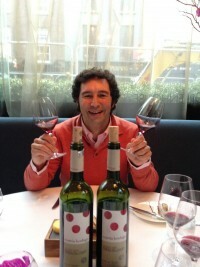 His first wine was a more classic style of Cahors, with cool dark fruits, good acidity and light tannins on the finish. It was a very well made wine and really well priced at €14-14.50. As you went up the scale the wines became more oaky, riper, more extracted and more alcoholic – 15.5% for several. I can see why they are so successful, but they were not really my style of wine. The next wine up in price, Ch. Vincens Origine 2013 (€17-18) is also pretty good in most vintages; this according to the importer, is the best-selling wine of the range. €13.99-14.99 from The Vintry Rathgar; Hollands Bray; Fresh Stores Dublin; McGuinness Dundalk. €18-19 from Mitchell & Son; Morton’s, Ranelagh; Martin’s, Fairview; Sheridan’s Cheese Shops.